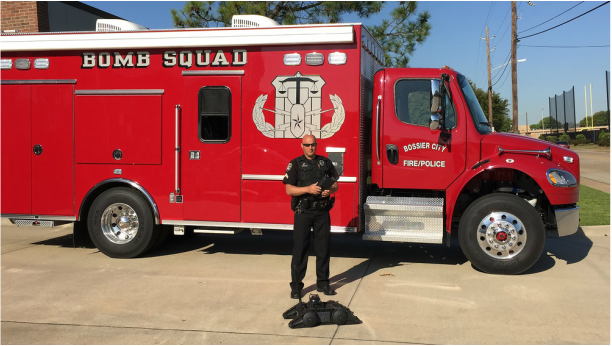 Firehouse Subs Public Safety Foundation is celebrating an equipment grant awarded to Bossier City Police Department. Attendees include local police officers, Firehouse Subs Franchisees Greg and Jennifer Burke and Firehouse Subs Area Representative Jim Maxwell. 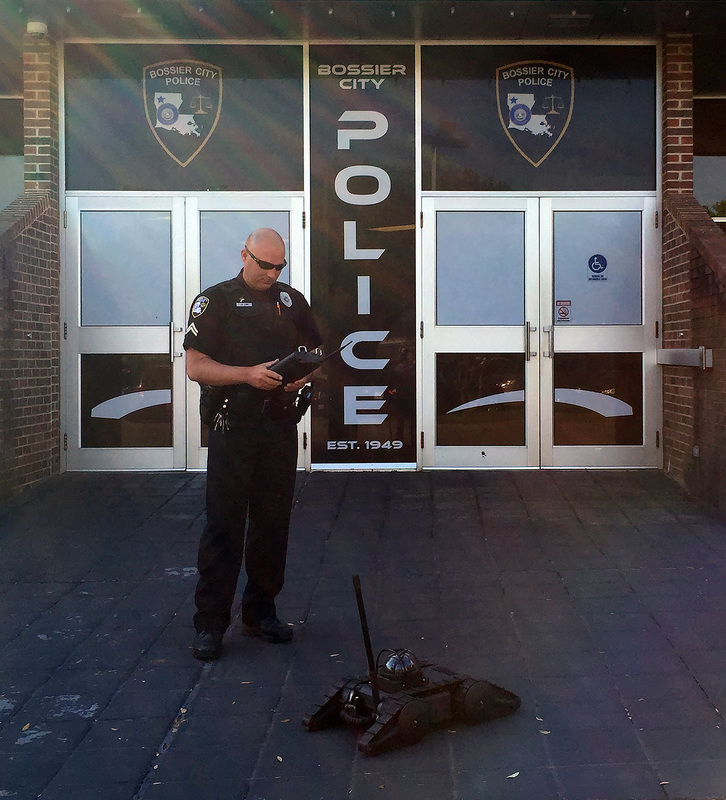 Thursday, April 7, 2016 at 10 a.m.
Bossier City Police Department (BCPD) received a tactical police robot worth $25,980. The department will utilize the robot to search hostile, dangerous environments and structures as well as remotely search for armed suspects during tactical operations. The robot will allow officers to be at a safe distance while operating the robot. In 2005, Firehouse Subs created the Firehouse Subs Public Safety Foundation with the mission of providing funding, life-saving equipment, and educational opportunities to first-responders and public safety organizations. Through the non-profit 501(c)(3), Firehouse Subs Public Safety Foundation has given more than $18 million to hometown heroes in 45 states and Puerto Rico, including more than $168,000 in Louisiana. Each restaurant recycles leftover, five-gallon pickle buckets, available to guests for a $2 donation to the Foundation. Donation canisters on register counters explain the non-profit’s mission and collect spare change, while the Round Up Program allows guests to “round up” their bill to the nearest dollar. All funds raised benefit the Foundation.